Église de Saint-Pierre-et-Saint-Michel (Church of St Peter & St Michael), Plouzévédé, lies at the centre of this small village which is immediately south of Berven. The name comes from the Breton 'ploe' (parish) and St Tévédé, a disciple of St Paul Aurelian (sixth century). The church was built in 1672, and rebuilt in 1762 and 1871. The presence of La Chapelle Notre-Dame-de-Berven (built 1573-1576) next to the church seems to indicate a monastic establishment. Chateau de Kerjean, which has its own chapel, is close to Saint-Vougay, on the D30, just over a kilometre south-west of Berven. 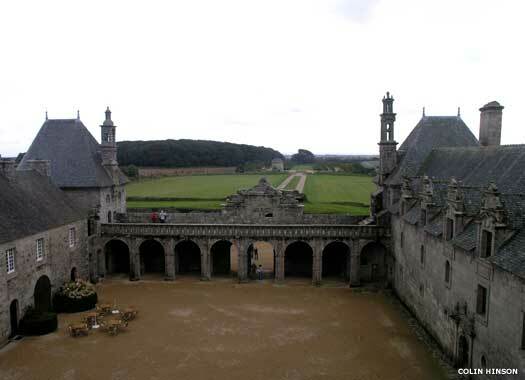 This residence-fortress was constructed in the sixteenth century by the Barbier family, one of the most beautiful specimens of Breton Renaissance architecture of its time. It was purchased by the French government in 1911, after the countess refused to sell it to interested American buyers who wanted to ship it, brick-by-brick, to the USA. Chapelle Saint-Jean-Baptiste (St John the Baptist Chapel) is in Saint-Vougay, off the main road, D30, through the village, just west of Chateau De Kerjean. The town is named after a sixth century saint of the same name. 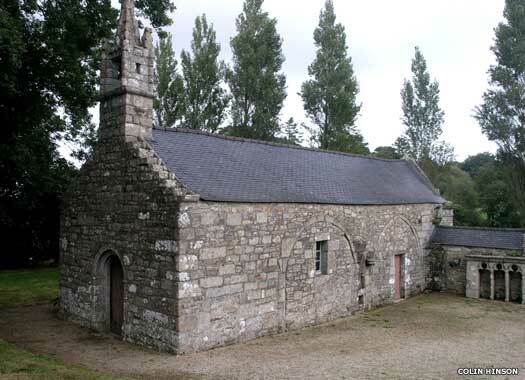 The chapel was constructed in the fifteenth century in granite with a small ossuary of three bays. 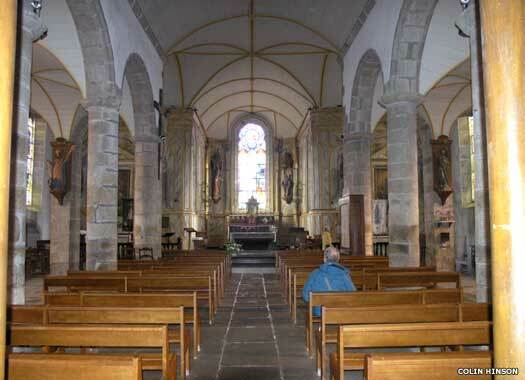 It was rebuilt and its side aisles removed in 1823. A small bell turret is over the south porch. The sacred fountain in the chevet was said to heal eye illnesses. Église de Saint-Pierre (Church of St Peter), Plounévez-Lochrist, stands at the very centre of the village, at Place de la Mairie where it meets Rue de l'Arvor. 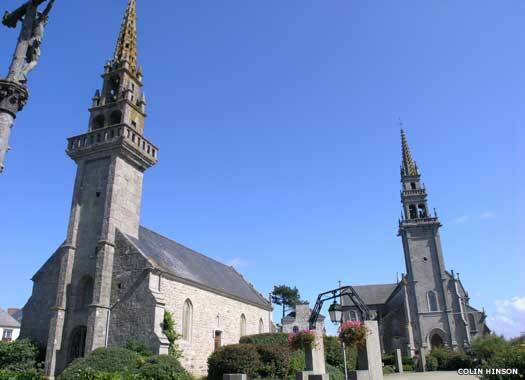 The church was built in the eighteenth century by Yves Quéré of Plouescat, with stones from Kergournadeac'h Castle. It was rebuilt in 1871-1872 by Denis Derrien, a contractor in St Pol de Leon, to a design by architect Rivallin Rivoalan in Brest. The new church was dedicated on 25 June 1873, and was rebuilt in 1935. Goulven Church lies in the Brest arrondissement. This small rural community is named after its patron saint, Goulven. He became a hermit in Brittany (Roman Armorica) after fleeing Britain in the fifth century, and built the first church here. 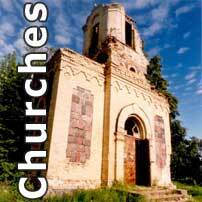 It was completely rebuilt in the fourteenth century in Kersanton granite. The imposingly large church tower is out of proportion to the church, and dates to the fifteenth and early sixteenth centuries, while the vestry was added in 1505. 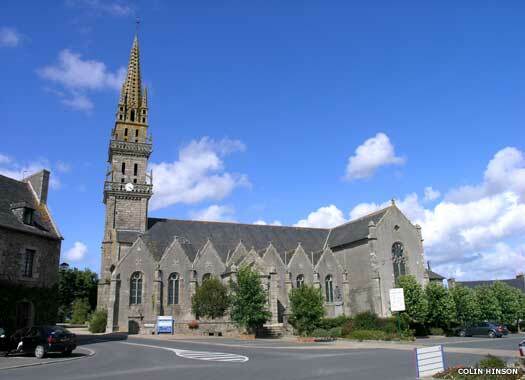 Kerlouan Church is to the south of the village's centre, on the northern side of Rue de la Côte des Légendes in Kerlouan, close to the northern coast of Finistere, on the D10 road. 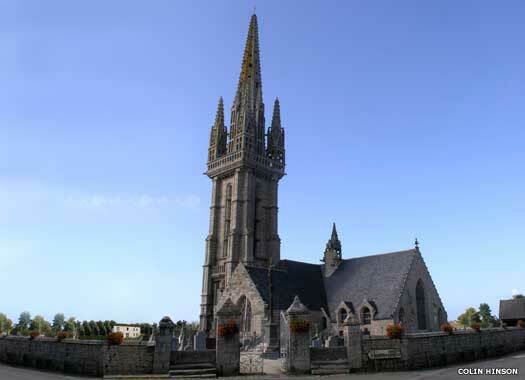 Kerlouan comes from the Breton 'ker' (village) and St Luan, a seventh century hermit who lived during the reign of High King Judicaël of Brittany. The old church (1670-1704) is preserved as the Chapelle de Sainte-Anne (St Anne's Chapel), while its replacement was built in 1863-1865.